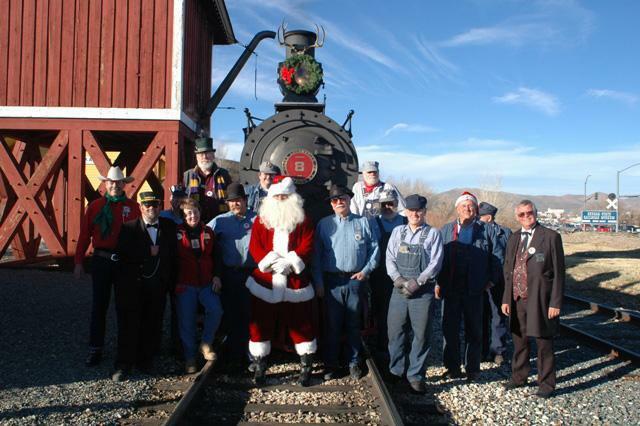 A ride with Santa aboard historic Virginia & Truckee Railroad equipment will help get the holiday off on the right track when the Nevada State Railroad Museum hosts its 21st Annual Santa Train on December 13 and 14 from 9:00 a.m. ? 4:00 p.m. The Santa Train excursion is being offered at a special discounted price of $2.00 per seat. The Nevada State Railroad Museum is located at 2180 South Carson Street, Carson City. Call (775) 687-6953 for details. Partially sponsored by the Friends of the Nevada State Railroad Museum and local businesses, the Santa Train is a holiday treat for the entire family. Rides feature a visit with Santa and candy canes for all good little boys and girls. Visitors are encouraged to enjoy the exhibits and magnificently restored locomotives and rolling stock in the museum’s main interpretative center after riding the Santa Train. While taking part in the holiday celebration at the museum, be sure to shop for that rail fan in your family at the museum store. The store is stocked with railroad books, clothing, toys and many unique Nevada specialty items. The museum store staff is ready to assist in helping find the perfect holiday gift. In keeping with the holiday spirit, the museum is also a drop-off point for the Marine Corps Reserve’s annual “Toys for Tots” campaign, helping to make the holidays a little more enjoyable for those less fortunate.